Just 30 miles to the north of Charlotte sits desirable Mooresville, NC where living is relaxed, thanks to the beautiful lake surrounding. Whether you seek a vacation lifestyle or work location without a long commute, Mooresville has it. Not one, but two great school systems serve Mooresville residents, with plentiful choices including Charter & International Baccalaureate (IB) school offerings. 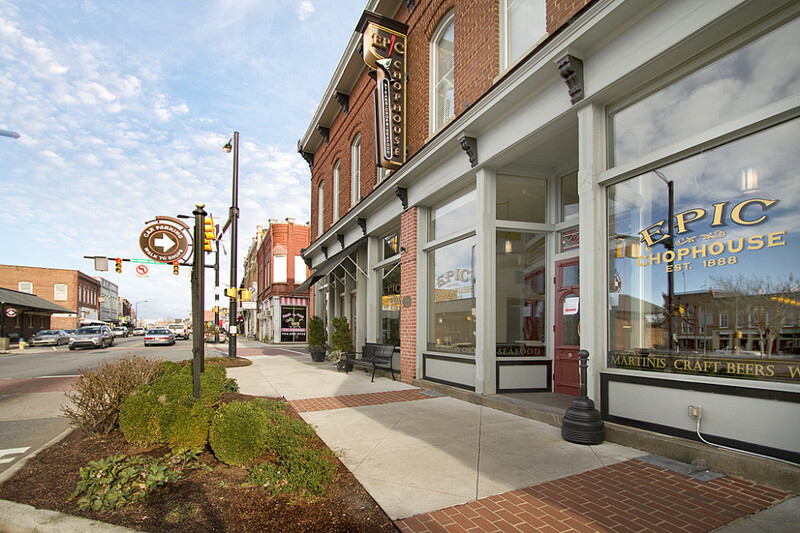 Quaint and historic, the downtown area of Mooresville offers a growing number of restaurants and vibrant after-hours activities. Sought after Mooresville Graded Schools (MGSD), seasonal food truck events, outdoor music, parades and cultural events draw crowds to gather and linger. Meanwhile, homes nearer the lake reap low County taxes and highly ranked Iredell County Schools. Close proximity to I-77 and Charlotte Douglas International Airport, when needed, offers advantages for business commuters and visitors. Mooresville’s real estate offers something for everyone. New construction is booming, while proximity to Lake Norman fuels the resale home market year-round. Nicknamed “Race City USA,” Mooresville is home to 50+ NASCAR teams and race related businesses. It’s not uncommon to see NASCAR star residents in and around town. Lowe’s Home Improvement, a leading employer, is headquartered here. Home to Lake Norman Regional Hospital and a growing base of medical service providers, there’s little reason to venture outside Mooresville for your health needs. A mecca for shopping, at your disposal are big box favorites Super Target, Super Walmart & Best Buy, plus Belk, Kohls, TJ Maxx/Home Goods, Staples, Dicks and harder-to-find elsewhere Gander Outdoors and Hobby Lobby, to name a few. Small business owners thrive, with gift/clothing boutiques, fitness centers, hair salons, pet grooming, sports trainers, and even a local produce market. Grocery wars mean great value for Mooresville residents from Publix, Food Lion, Lowes Foods, Harris Teeter and Aldi chains. Packed full of activities like boating/fishing/water sports, lakefront dining, arts/culture and local shopping – Mooresville invites a great quality of life and year-round fun. Tee off at one of two public golf courses or the private Trump National Golf Club-Charlotte in The Point, nestled between lakefront and custom luxury homes. New interstate exchanges continue to pop up, making a quicker trip to all things Mooresville, including the newer Langtree area set by shops and restaurants, with seasonal live outdoor music events. Whether you seek waterfront living, the historical charm of downtown, lake access and activities, active adult communities, larger homes or a condo, chances are you’ll find it here!